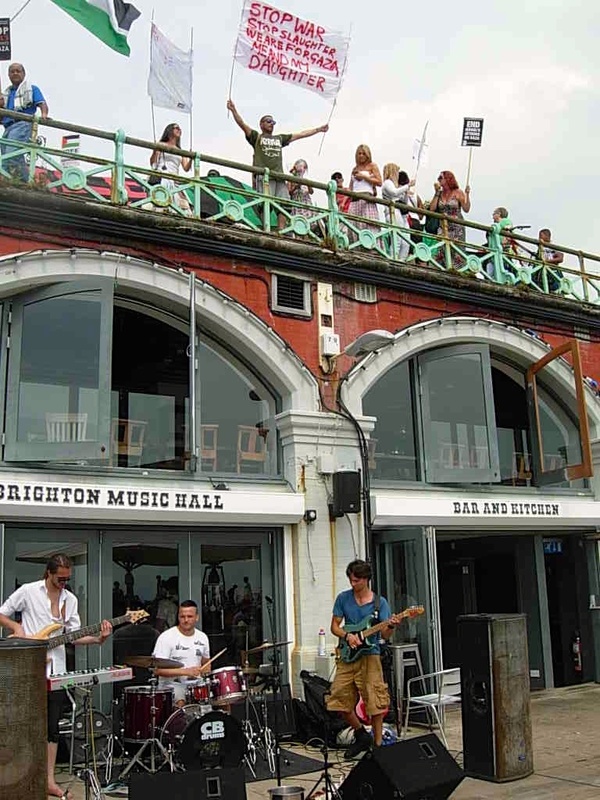 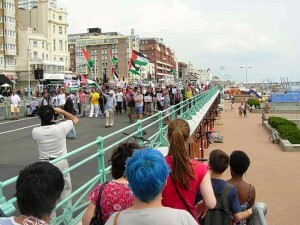 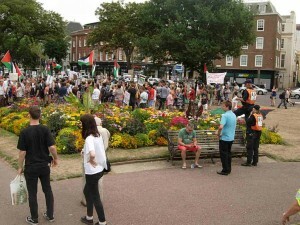 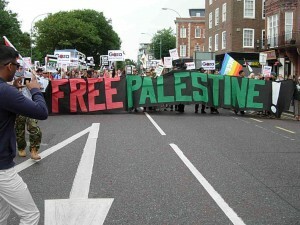 Once again, Brighton stands up for Palestine! 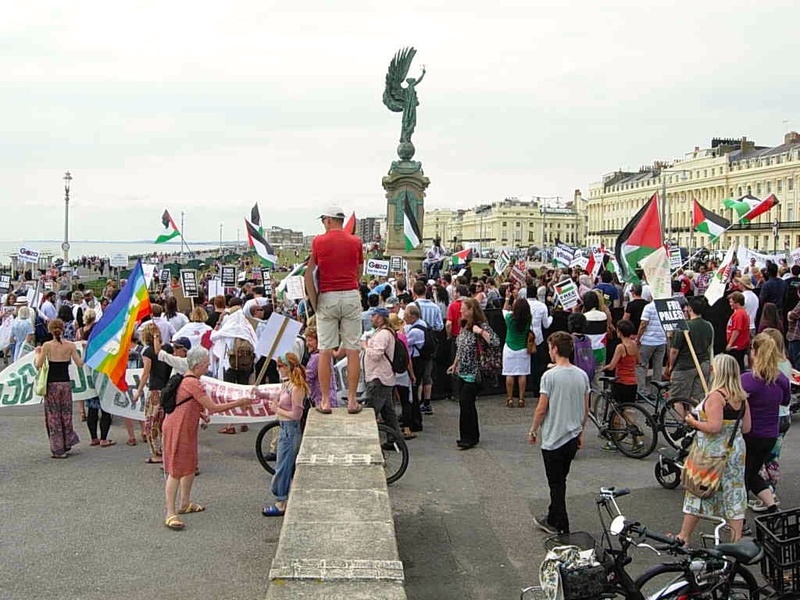 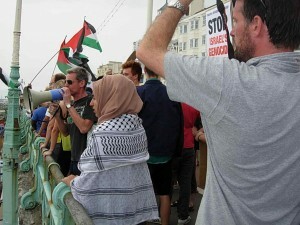 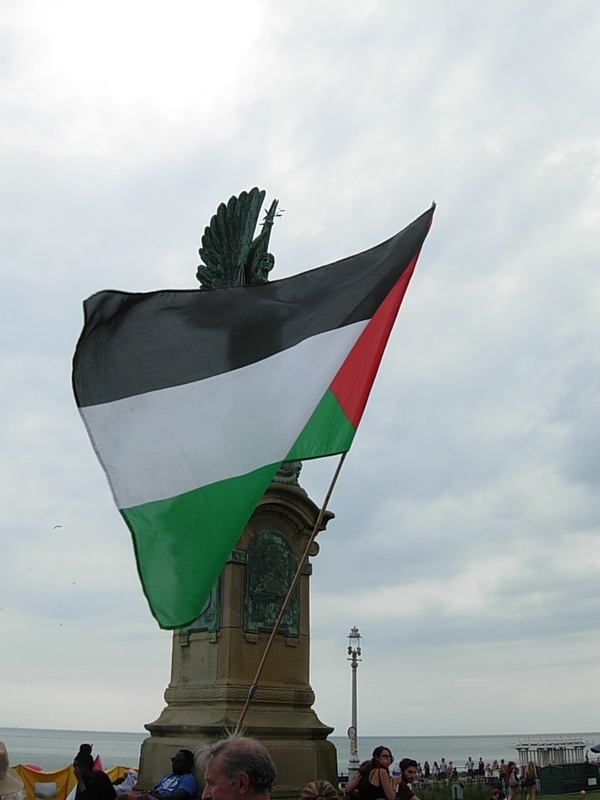 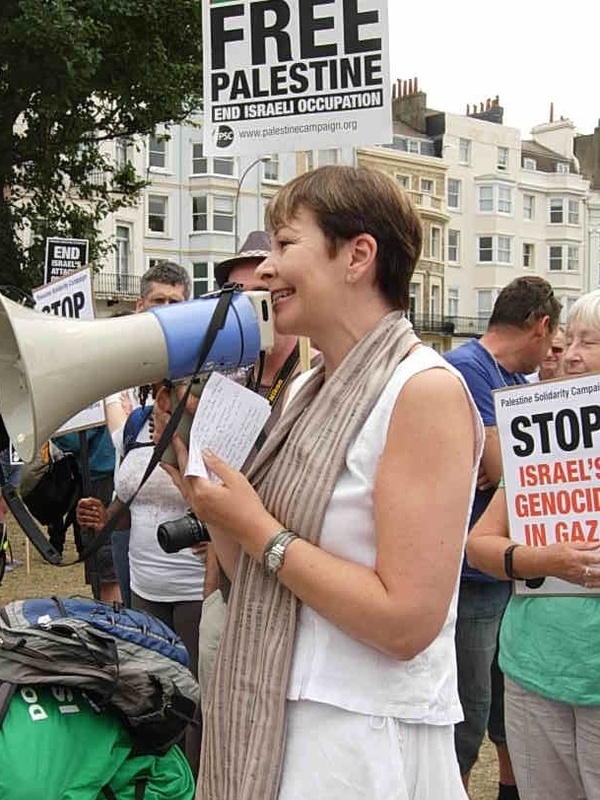 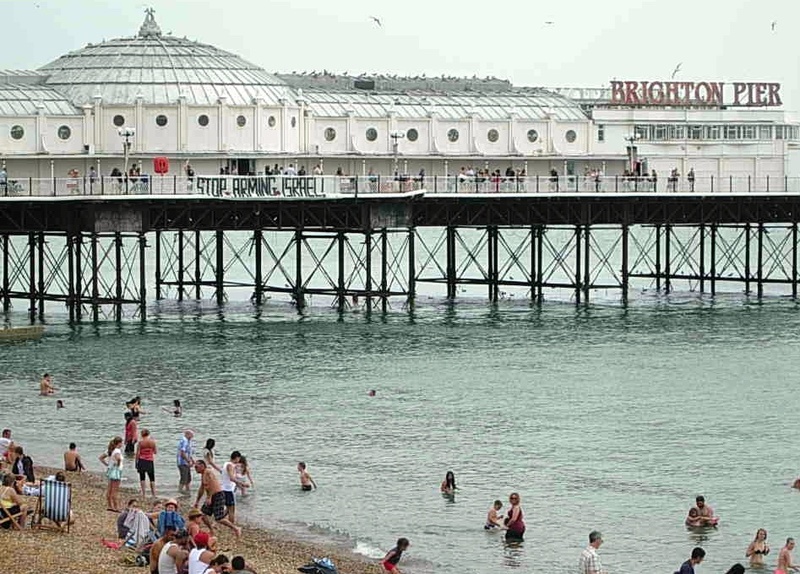 For the third consecutive weekend, people of conscience in Brighton poured onto the streets to express their grief and their outrage over the appalling atrocities in Gaza. 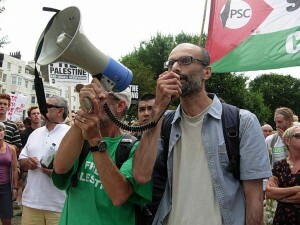 The demostration started with a spontaneous and dignified series of short speeches at the Old Steine War Memorial by a number of local people, including Ahmed from Gaza, who had lost several members of his family to the israeli bombing only the previous night, and Caroline Lucas, the MP for Brighton Pavilion, who joined the demonstration unannounced and offered words of support. 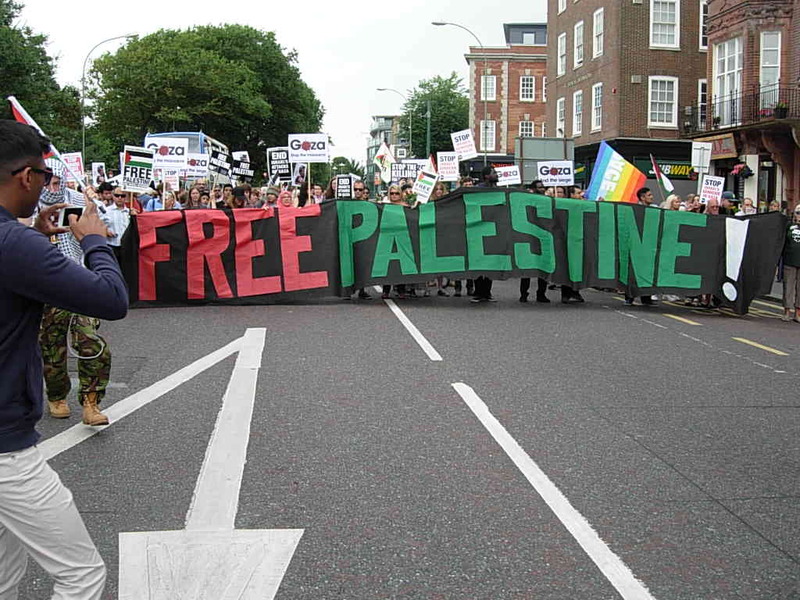 Many thanks to everyone who spoke – we were all moved by your eloquence and your steadfastness. 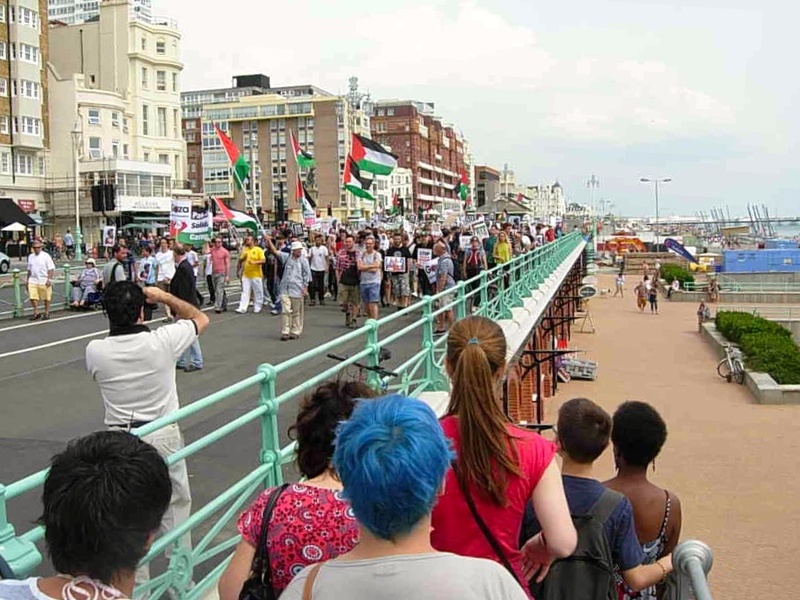 When our numbers reached several hundred we set off to march along the seafront, pausing to watch the unfurling of a magnificent 10-metre banner on the Palace Pier saying ‘STOP ARMING ISRAEL’, reflecting the growing global movement campaigning for a military embargo of israel. 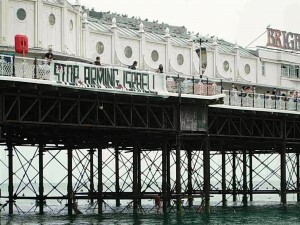 You can find out more about this campaign here. 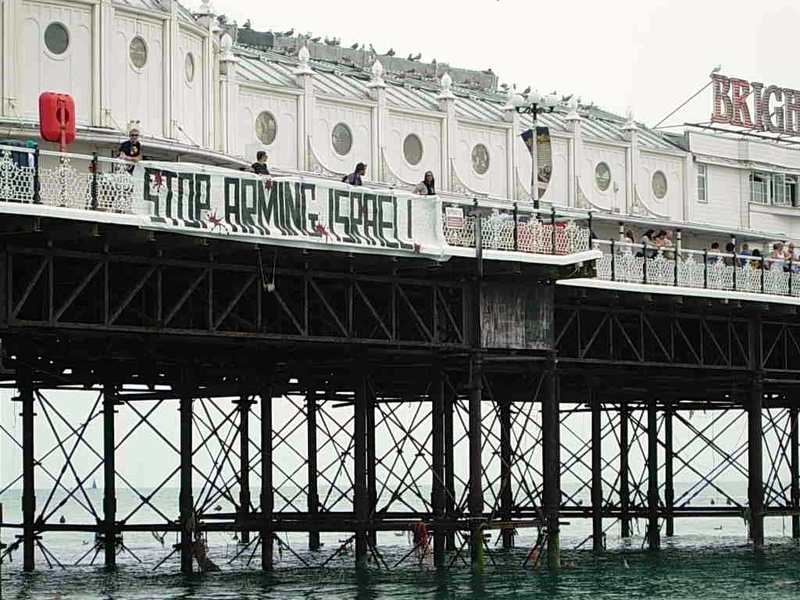 We continued along the seafront, taking our message to the people enjoying a warm Sunday on the beach. 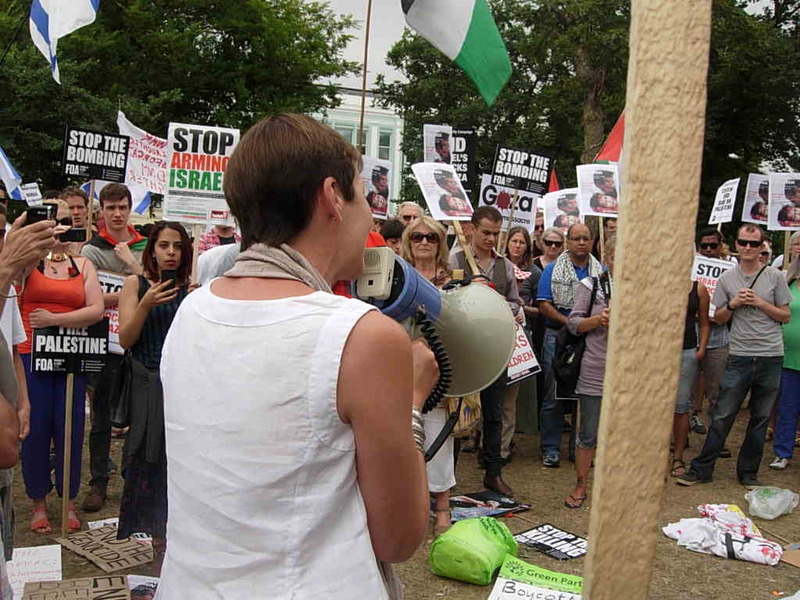 As we marched, our numbers swelled with people who were moved enough by events in Gaza and by our demonstration to join us. 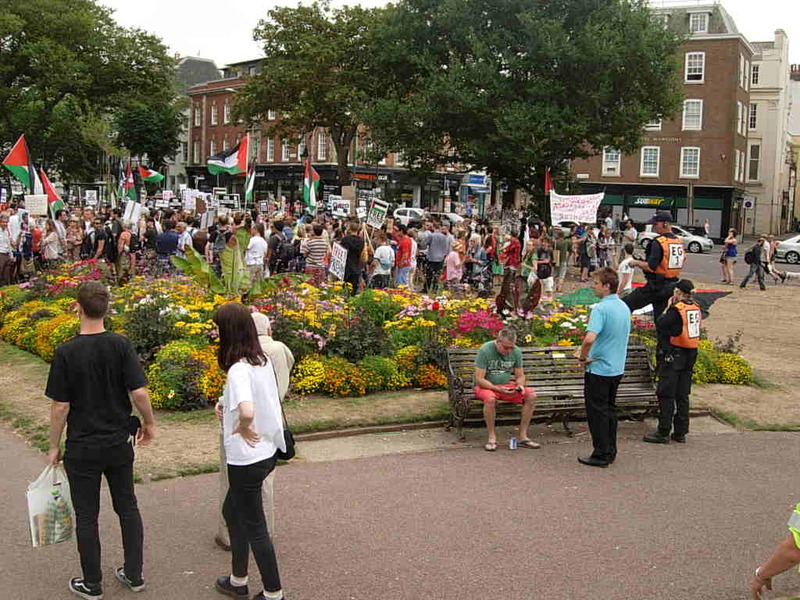 And many people stopped to donate money to Gaza and to sign our petition calling for an arms embargo. You can sign the petition online here. 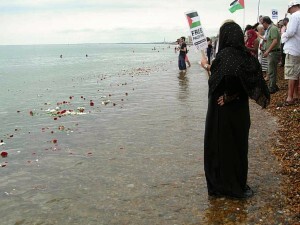 At the Peace Statue we walked down the water’s edge to throw red and white flowers into the sea as a way of illustrating the blood spilled in Gaza and our determination to achieve a just and lasting peace in Palestine. Our gathering on the beach was especially poignant when we remembered how difficult it is for the people of Gaza to enjoy their lovely Mediterranean seafront when israeli gunships are positioned just offshore. 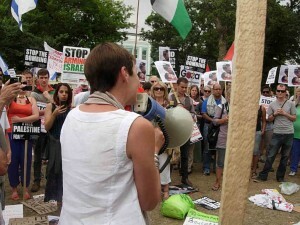 The photos below give a flavour of the demonstration – thanks to everyone who took them and made them available.